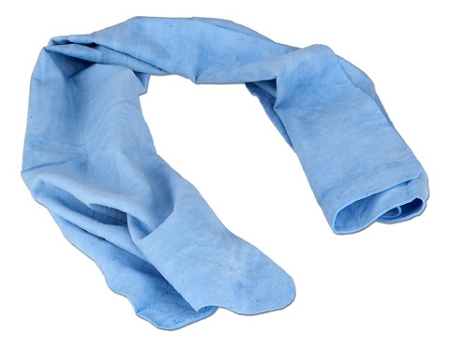 The Kewl Towel is a PVA cooling towel that is used where ever immediate cooling is needed. The Kewl Towel will become cool to the touch by soaking it for up to one minute. Simply place on, or wipe any area where immediate cooling is desired, such as the neck, shoulders, forehead and arms.